Swapping from William Schuman to Robert Schumann in recent posts has presented a spelling challenge, and, quite rightly, a reader corrected me a while back when I fused the American composer's Christian name with the German composer's surname. 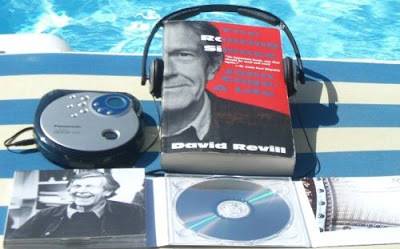 So I was reassured to read the following in David Revill's book The Roaring Silence - John Cage: A Life - 'Cage continued to spend many hours preparing letters seeking support for a center for experimental music. On the back of his inventory of percussion instruments he scribbled one night, "Composers interested in electrical: Jacob Weinberg, Henry Brant, Paul Bowles, William Schumann (sic)"'. John Cage Christmas gift suggestion here. I still prefer Bach’s Weichnacht Oratorium - BT. Fine Bernard, but why can't we prefer both?